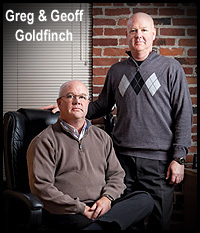 Goldfinch Bros., Inc. has a proud tradition of prompt, professional and courteous service. Whatever your glass needs, new, repair or replacement, give us a chance to show you the difference over 125 years of family owned business makes. We have what you need, or we know how to get it. Call or visit our showroom and ask to speak with a sales representative. They understand the importance of satisfying the customer, and are here to assist you. We look forward to working with you on all your glass-related needs. 126 YEARS of serving Puget Sound businesses and residences with their glass needs. FAMILY OWNED for five generations. DEDICATED STAFF waiting to assist you and answer any questions.